Do you aspire to meaningful world travel? Do you believe in supporting local solutions to local problems? Do you want to travel to Africa, but can’t find a travel buddy? The Real Uganda offers one week culture-adventure group tours for compassionate, solo travelers, with limited vacation time! Get ready to plant a communal garden, get schooled in a traditional dance contest, and learn to cook delicious Ugandan food. Our week begins with visits to 3 locally-led, community-based organizations. 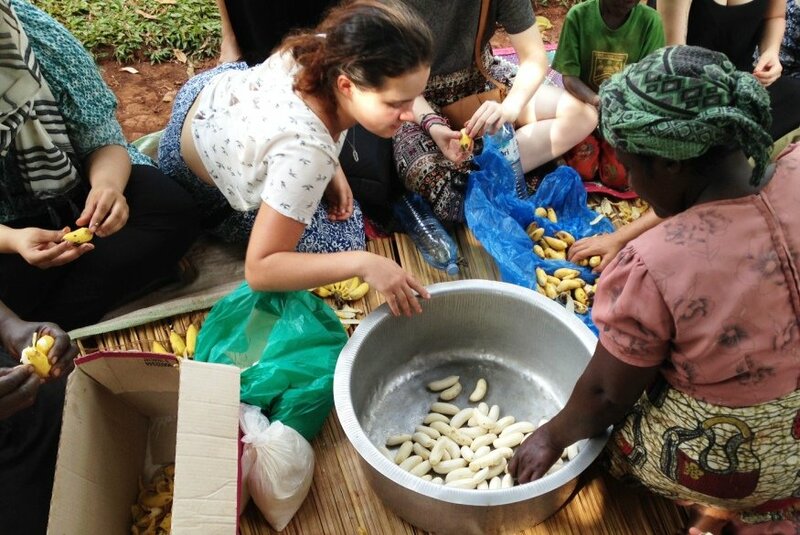 You’ll volunteer along side motivated Ugandans in a new ‘hands-on’ project each day. Gain insights into our culture, learn about the reality of life in Uganda – and support amazing people. 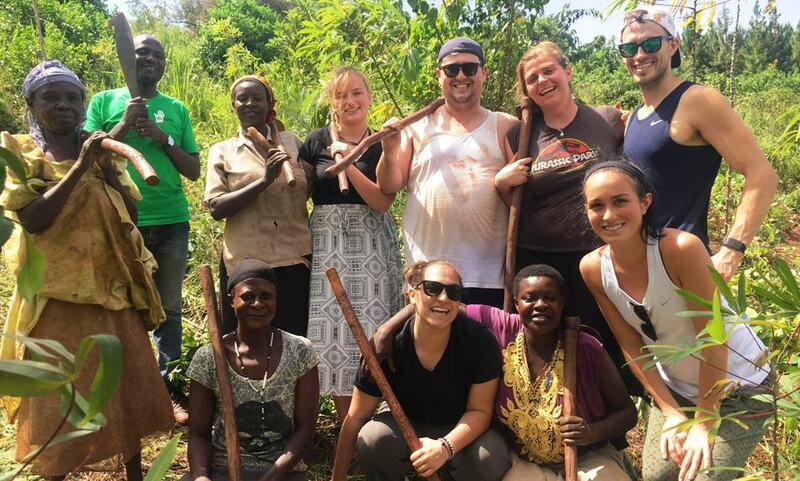 The Real Uganda also has 2 to 12 week community-led volunteer work available for travelers with more time. We end the week with a 2 day wild-life safari to spectacular Murchison Falls National Park. Your game drive and boat ride offer stunning views of lions, giraffes, elephants, baboons, crocodiles, and hippos – in their natural habitat. After all the excitement, rest in a fully-serviced cottage, enjoy freshly prepared meals, and share drinks around the campfire. By the end of your stay, you’ll fall in love with Africa’s best kept secret: Uganda, a peaceful country of extraordinary beauty. Do you have a group of 4 or more people interested in seeing Uganda in this way? Contact us and we will set up a tour on your schedule! The Real Uganda is a non-profit organization, totally located in Uganda. This means our costs are kept low at $1,295USD per person. Flights, tourist visa, and insurance are not included, but we are happy to help you make those arrangements. 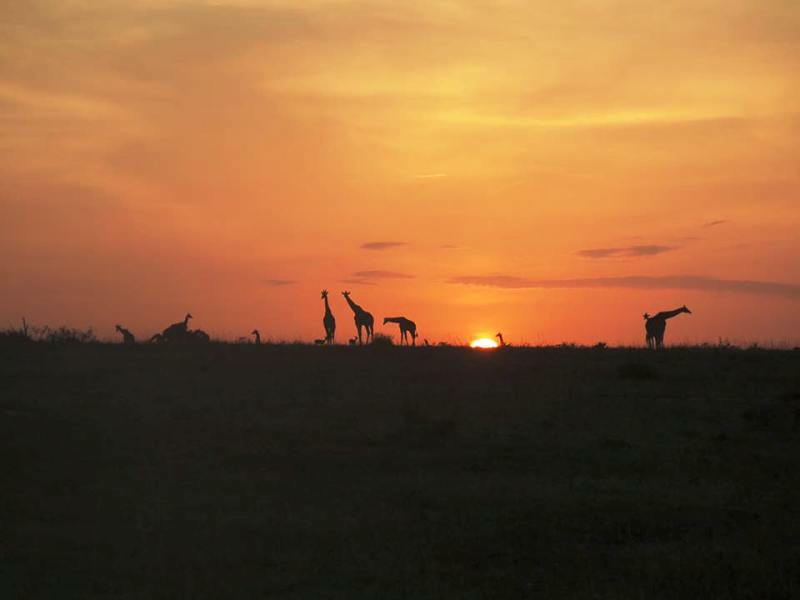 See Uganda in an ethical way, with a group of like-minded people, in just one week.